Sweet Mia is 13! She's such a good girl!! More like a maxi wheat, amirite? 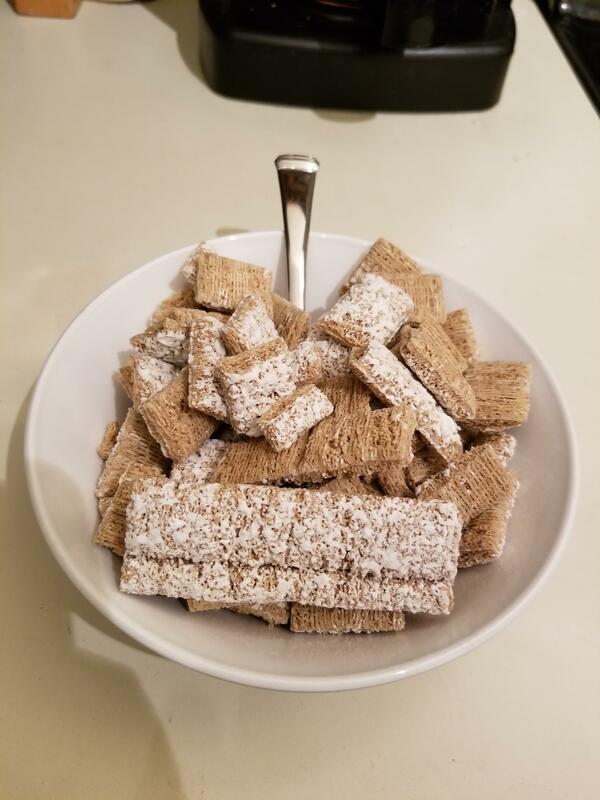 I had a bowl of mini-wheats tonight… favorite cereals!!! Do you not eat cereal with milk?